Debates have long surfaced over the role of dogs in modern society, whether it be a pet, service, or therapy animal. Dog’s roles in different environments such as in a home, school, plane, or restaurant have evolved. 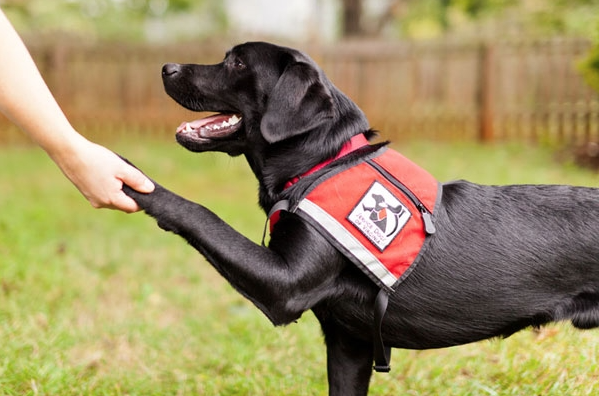 Many people now have service dogs for physical or emotional support. Ms. Regan, a guidance counselor at Sharon High School, has a dog and understands their important role in society. “I personally think that dogs bring joy. Service dogs do that in a variety of ways. They enable an individual with some sort of area of challenge to be able to mitigate that challenge. Both service and therapy dogs provide people the ability to maintain a healthy life,” said Regan. Ms. Gavin, the assistant principal at SHS, is also an avid dog lover. “Regarding a dog’s job in modern society, the first word that comes to mind is companionship. The dog’s job is to be a companion and to bring happiness. The dog feels joy when it’s helping. It serves as a way to bring joy to all,” she said. “It’s great that they have been trained to assume different roles that assist humans, whether it’s around safety, someone that’s disabled, or simply for comfort,” he added. “I often think about the safety that drug or bomb sniffing dogs provide the greater world, and that’s a great thing. I’m appreciative of when I walk into an airport or a busy terminal and there are dogs present as it gives me a sense of ease,” he added. She says that if a person is an an animal lover, having a dog present in any environment would benefit health and mood. Just their mere presence has the ability to put someone at ease after a long, stressful day. Ms. Regan says that “students and teachers need to pay attention to the handler.” The dog must be left to work unless the handler grants permission to pet them. They need to be treated respectfully, as caring for their owner is their job. Alyssa is a substitute nurse at SHS and is very knowledgeable about the subject. “There are certain rules and guidelines that come with a service dog. When they are wearing their vest, they’re working. There are certain periods where people can ask permission to pet the dog. The dog goes into play mode when given the command and everything’s fine,” she said. “It does benefit other people when they pet dogs. We have a lot of kids that are scared of dogs, and when they meet our dog, they become more comfortable,” she added. Ms. Gavin says that they should be allowed on planes and in restaurants. Humans have different needs and challenges, and to allow equal access for everyone, a service animal is a great way to ensure that.